Breaking: Neville Longbottom has a magical mustache. No, you did not misread that sentence. It's the truth — well, kind of. 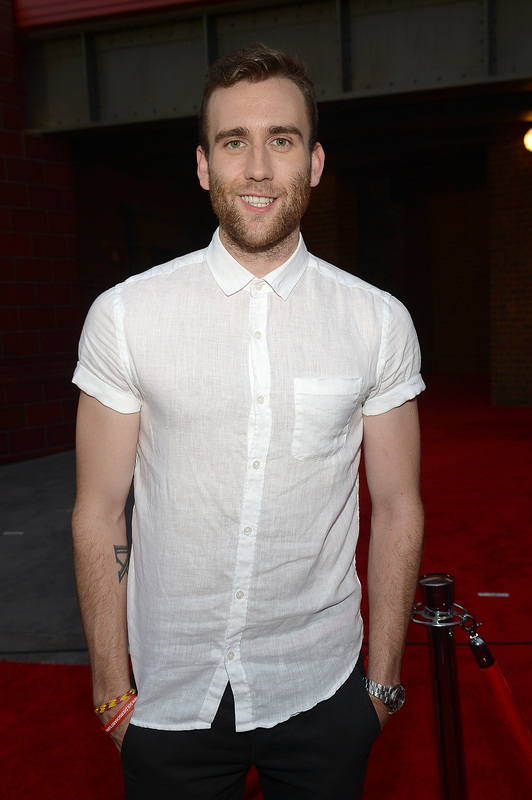 Harry Potter actor Matthew Lewis has a mustache. To be clear, Neville himself isn't wearing some new facial hair, but the actor who played him is. If you follow Lewis on his social media accounts, then you've seen him sporting quite the 'stache. And I'm pretty sure Lewis' mustache has magical powers. Before I get to the mystery and magic behind the mustache, let's discuss why Lewis is walking around with all that facial hair that somewhat resembles a handlebar mustache. He took to Twitter to alert everyone that it's for a role. So, if you're someone who's been hating on Lewis and his mustache, you can stop, right now. First of all, let's not bash Lewis for it, because it might have taken a lot of hard work to grow his mustache for his job. Second, what's the point in criticizing anyone about their physical appearance? It's just not cool. Third, how can anyone be mad at this beautiful, beautiful man? Finally, seeing as Lewis' mustache is magical and, well, that means everyone should love it and embrace it. If I still haven't convinced you, then these seven magical abilities Lewis' mustache possesses will. Um, maybe we need a remake of The Horse Whisperer? I mean, Draco can't stop staring at it. To be clear, I don't know if this woman is attracted to Lewis or his mustache, but they are clearly having a fun time in the photo. It's definitely not a woman repellant. Lewis didn't win that huge, silver plate, but his mustache totally could. Just kidding. It's definitely not a killing curse. I really hope Lewis doesn't pull an invisibility cloak over his mustache, because I totally dig it.